Dental Garden is on the cutting edge of modern aesthetic dentistry. We offer the most advanced technology available today which means shorter, more comfortable visits and predictable, long-lasting, and naturally beautiful results. Our operatories feature flatscreen TV’s for you to enjoy your favorite shows or movies. Also, when we educate you about your oral health, we will be able to show your pictures and x-rays on our TVs helping you understand your treatment plan. At Dental Garden, each treatment room has a dental chair that features the ErgoSoothe™ massage technology to help put our patients at ease while waiting for and receiving their dental treatment. We also make sure sitting in a dental chair is surely an added bonus to your trips to Dental Garden, creating a relaxing atmosphere. Remember the high-pitched screech of the dental drill? Those are now a thing of the past as our practice uses much quieter and efficient electric handpieces. 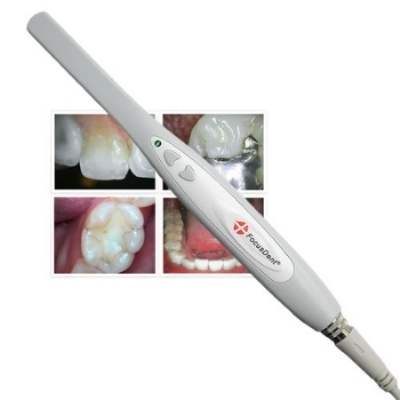 We use an intraoral camera to take close-up images of your teeth. We also use digital photographs from our intraoral camera as a vital patient education tool that allows you to see exactly what’s going on inside your mouth. We use digital radiography and computer imaging to reduce your exposure to X-ray radiation by 90%. A small flat electronic sensor is easily placed with little to no discomfort. In addition, you won't need to wait while films are developed. Digital images are sent electronically to the computer, and appear instantly on the screen so that you may review them with Dr. Cho. With computerized zoom magnification, Dr. Cho will detect tiny changes which would otherwise have gone unnoticed and get an early start on treating small problems before they become bigger problems.